At Whitfield, we have a commitment to diversity, equity and inclusion. In order to deepen our understanding and commitment to these values, students, faculty, and administration have been engaging in regional and national conversations on equity and inclusion, particularly those around education. Members of our community whom have had the opportunity to participate in these conversations are charged with bringing what they have learned back to Whitfield. 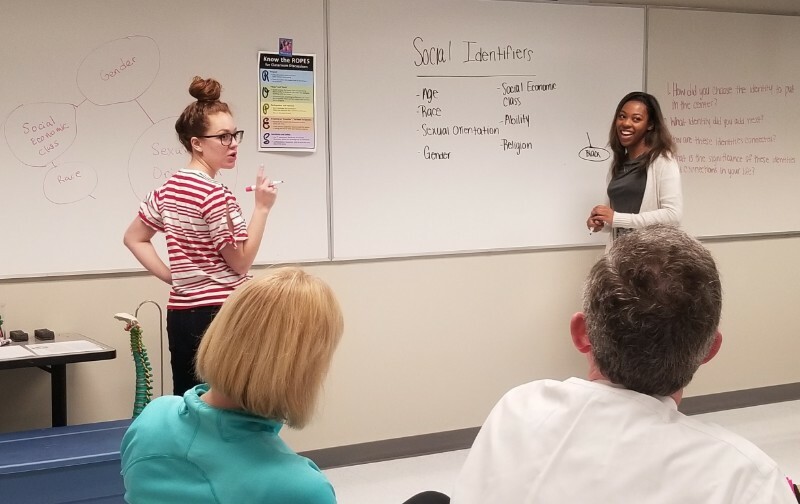 During the February 6 Late Start Faculty Meeting, six upper school students led a diversity workshop for their teachers. The workshop activities gave faculty the opportunity to engage in conversations and reflection about their own cultural competence, one of Whitfield’s of Habits of Mind & Heart. Student facilitators included: Kenny Hill ’20, Taja Foster-Walker ’19, Grace Farr ’20, Maria Pace ’19, Maddison Kimbrough ’20 and Hasan El-Amin ’19. Junior Kenny Hill trained his peers to facilitate the diversity workshop by sharing what he learned at the 2018 NAIS Student Diversity Leadership Conference (SDLC) which ran in parallel to the NAIS People of Color Conference (POCC) held in November in Nashville, TN. The conference provided participating students the opportunity to develop cross-cultural communication skills, design effective strategies for social justice practice through dialogue and the arts, and learn the foundations of allyship, and networking principles. Director of Equity and Inclusion Dr. Anna Warbelow and social studies faculty member Dr. Miller Boyd also attended the POCC. As part of their preparation, all of the student facilitators attended one of two local conferences, along with more of their peers. In November, a group of 10 Whitfield students attended the Upper School Leadership Diversity Conference organized and hosted at MICDS. 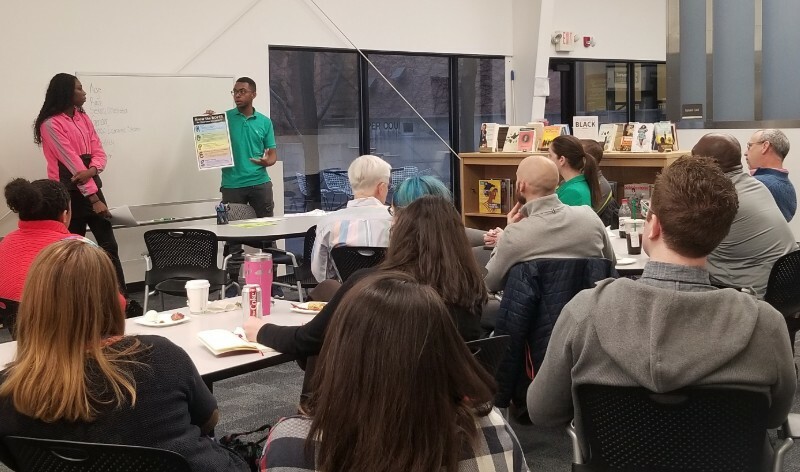 The day-long conference brought together over 150 students from independent, public, and parochial schools in the St. Louis area to discuss issues of inclusion and equity. On January 24, 11 Whitfield upper school students attended “The Hate U Give…The Healing U Bring: #Yourcall,” a student conference at McKendree University in Lebanon, IL. The title for the conference comes from the award-winning novel “The Hate U Give” by Angie Thompson, also the keynote speaker. The conference included small group breakout sessions facilitated by McKendree University students and time for individual schools to meet and develop an action plan for student-led positive change on their own campus. Students returned to campus with a renewed commitment to equity and inclusion at Whitfield and several ideas for Diversity Awareness Club. 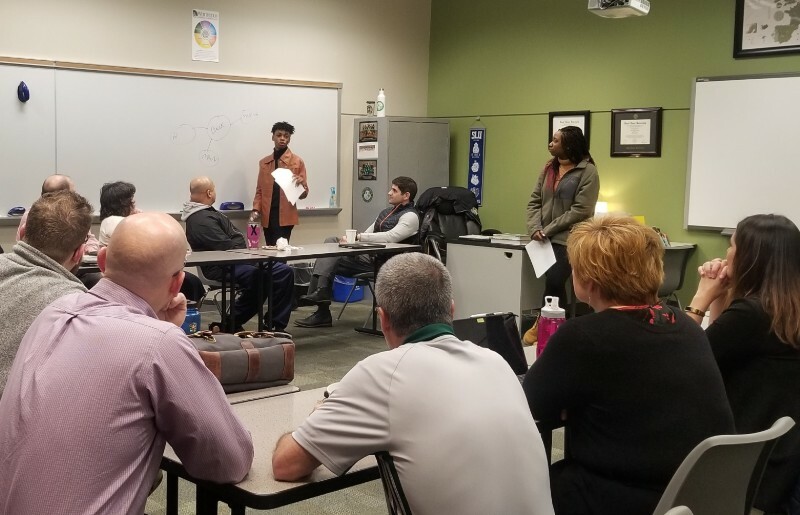 Putting all they’d learned into practice, the Whitfield students worked in pairs to facilitate three groups of teachers through a series of exercises including a review of the ROPES guidelines for classroom discussions and an explanation of cultural identifiers.